I LOVE Autumn (or Fall, for our friends across the pond!). Summer is fab while it lasts but around the start of September I yearn to wear fleecy jumpers and knitted hats, to walk through woodland, seeing my breath as white clouds, kicking through fiery coloured leaves with my wellies, spotting weird fungi on tree stumps and finally relaxing in front of a roaring fire with a glass of red wine. And that’s just for starters, as I’ve not got on to Hallowe’en, Bonfire Night, the first frosts, crystal clear blue skies followed by the deepest red sunsets. This wonderful season is a photographer’s heaven and I’ve put this little (!) 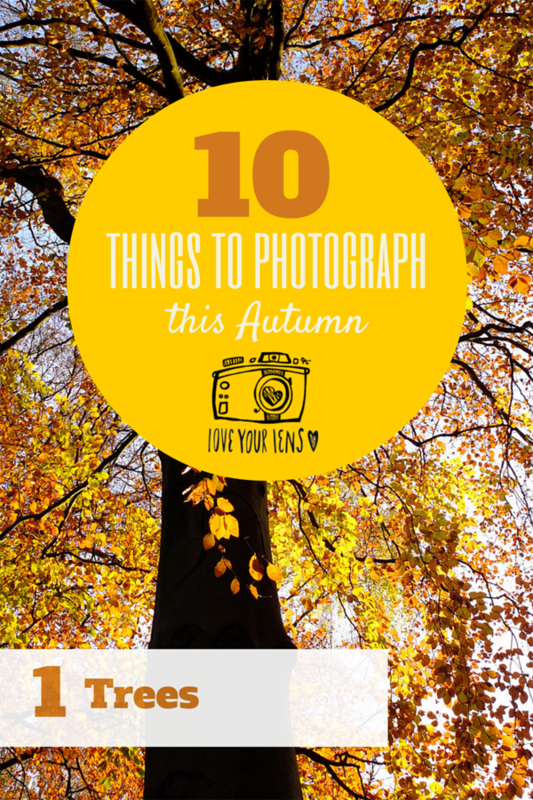 guide together to give you some inspiration and valuable tips on how to capture the best of Autumn. 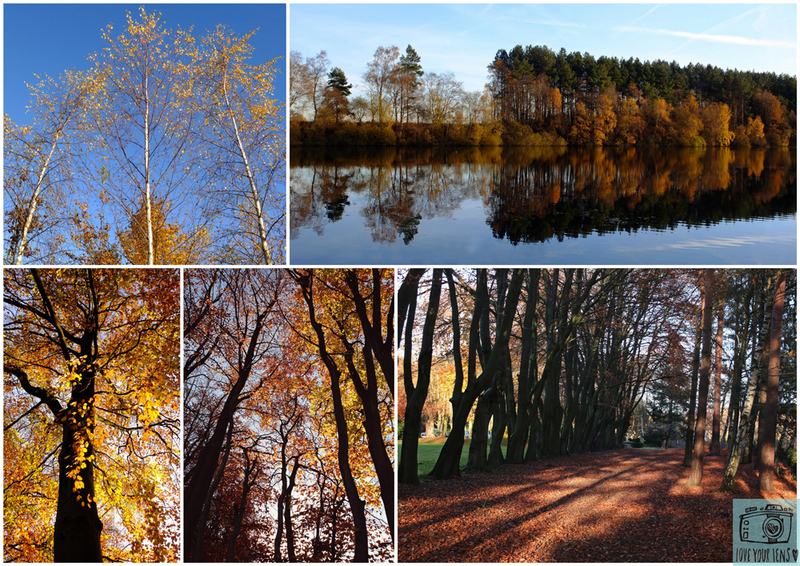 Today’s instalment is how to photograph trees in Autumn. Fujifilm X10. Manual mode. Aperture f/3.2, ISO 200. Shutter speed varied between1/340 and 1/500. Ideal conditions for capturing Autumn foliage and landscapes are a) a beautiful cloudless sunny day and b) early morning or late afternoon, when the sun is low in the sky. These conditions will give you deep blue skies as a backdrop, long, dramatic shadows and a gorgeous golden light. Keep an eye on your shutter speed and ISO. Remember, you need a minimum shutter speed of 1/60 to avoid hand shake ruining your images. As you are likely to be in woodland, it could be quite dark despite the sunshine. If your shutter speed is too slow, then make your ISO higher. You could also shoot with a larger aperture, which will let more light in. For a refresher on how Aperture, Shutter Speed and ISO control exposure take a look at this blog on the Exposure Triangle. If you’re not ready for this yet, then try using the bracketing function on your camera, which will result in three differently exposed images, even though you have pressed the shutter just once. Then you can select the one you like most. Learn how to expose manually. Getting the exposure right can be tricky as there’ll be lots of bright areas and some really dark shadows. That can fool our cameras into getting the exposure wrong, resulting in an image that is too bright or too dark. Manual (the M on the dial on top of your camera) will give you complete control. It can seem scary, but everyone I teach is always pleasantly surprised how easy it is. If you’re ready to give it a whizz (and what’s the harm? ), then take a look at this blog on going manual. Autumn foliage looks glorious against deep blue skies and it can mean that you exclude distracting hedges, walls, people, cars etc. It has the added advantage of making the trees seem taller, really reaching for the skies! The perfect combination, trees wearing every hue of Autumn, reflected in water which is the intense blue of the sky. Don’t miss the next instalment! I love the picture of the trees and the reflection of the lake. So pretty! Thanks for the tips! Glad you liked the pictures. Watch for the next one where I’ll be looking at Autumn leaves. The Autumn colours seem better than ever this year. Thank you for your tips. I will be out tomorrow and give manual a try. Hi Kathryn, would love to see your photos. Are you on Facebook? If so, I’ll invite you to join my group Love Your Lens and you can post images and ask questions there.